As campus tour guides lead flocks of parents and their children up the steps of Angell Hall, they may speak of the various academic departments located within the building. They may mention how many classes they have had in the Angell-Mason Hall complex, but they will never acknowledge the overtly bigoted symbolism their tour groups pass. 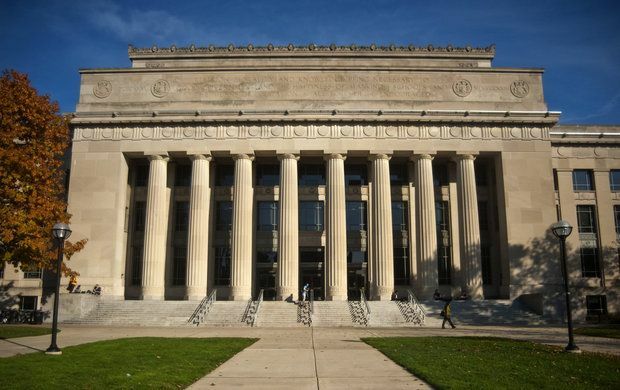 Somehow every day, as hundreds traverse through the Angell Hall columns, they ignore the very clear swastikas, hidden slyly at the base of each column. These columns are Dorian in architectural tradition, yet the Dorians were the most ruthless and oppressive of all the peoples of ancient Greece. The centaurs armed with bows depicted on the entrance invoke violence in a community billed by the University as a place of inclusion and safety. Setting aside the fact that the Greek motif of the building is clearly a case of cultural appropriation, the architecture of neoclassical tradition invokes the memory of western colonialism and Eurocentrism. The four bas reliefs by Ulysses Ricci, flanking the entrance like bigoted sentinels, not only continue to advocate for the gender norms of an unenlightened and bygone era, but also reinforce impossible body image standards. To top it all off, the inscription above the entrance—a quote from the Northwest Ordinance, a document written by land stealing, slave holding white men—blatantly refers to the necessity of religion, no doubt the Christian faith, in addition to using the term “mankind” rather than a more neutral term. The moral disposition of this university is very clear; it claims to be one thing yet presents itself as another. We should not rest until the Dorian columns are replaced with columns from a range of diverse architectural traditions. We shall not rest until the centaurs hold each other lovingly in their arms rather than bows, until the beings depicted flanking the entrance are androgynous beings of various body types, and until the inscription above it all reads “No Fascists Allowed On This Campus.” But Angell Hall is just one of many symbols of the oppressive nature of this University. We have a lot of work to do. With the victory of eMerge in the most recent Central Student Government election, an election with a historic voter turnout of 17.9% of the student population, I am sure that we are well on our way to bringing about a just and inclusive campus. to wealth and property instead of responsibility and performance, and we are all determined to destroy this system under all conditions.” –Adolf Hitler Berlin Opera house. Gosh! We’re going to need Sampson’s all over the country. Oh wait am I culturally appropriating?